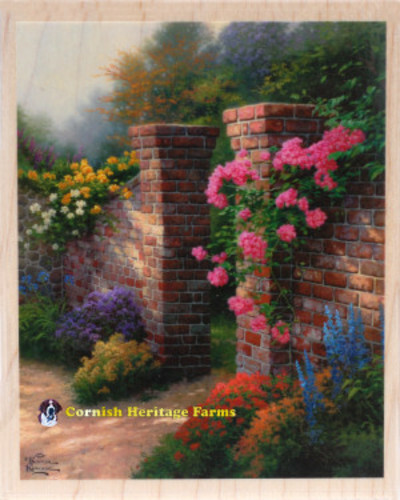 Also scheduled for the January release are three other stamps, one of which is The Rose Garden -- isn't it gorgeous? So keep an eye out and I hope to be able to share the other releases and my samples soon! This is a project from the archives . . . I created this framed art last November for my last month on the SplitcoastStampers.com Design Team. It's an 8" x 8" black shadow box frame from Target. I adore vintage Santas, especially this Stamper's Anonymous/Tim Holtz one with the Silent Night hymn/carole in the background. 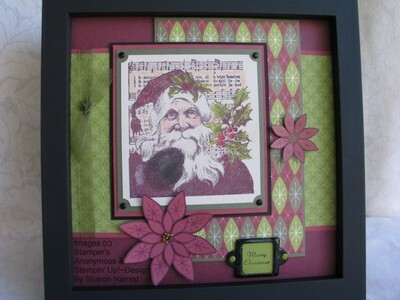 Santa image was stamped in burgundy craft ink and once dry, colored with pastels and a Q-tip for a soft, vintage look. 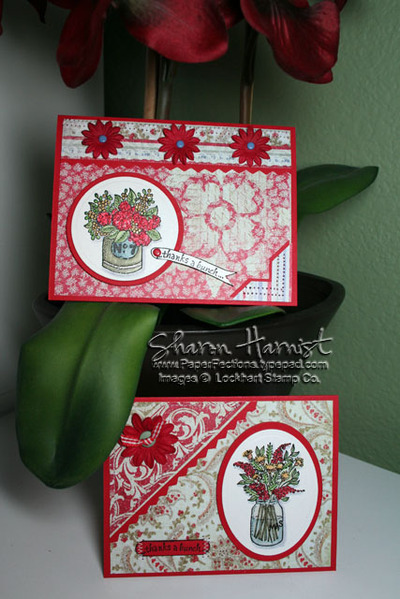 Poinsettias were cut from Stampin' Up's 2006 Holiday Thyme DS paper and were layered/stacked with dimensionals. There are gold glass beads in the center of the large poinsettia. Hodgepodge hardware sentiment frame was dipped in black embossing powder (heat first, then dip in powder and reheat again -- powder will stick and emboss just fine!) to match black Vintage brads. Tiny sentiment in the frame says Merry Christmas. I hope you all enjoy your holiday! Here he is . . . my adorable little juggling penguin! If you're wondering about the "Dirty" part, see the post below! He's another Elzybell image -- they are so darn cute! I really like this artist's style. If you like my penguin, he has ice fishing and snowflake companions at the Elzybell site linked above. I needed a January calendar for the stand I made in this post, so I dug thru my stash box of Winter items and found this Winter vellum quote from DCWV's Quote Stacks and thought it would work perfectly across the 6" square calendar page I needed. The calendar I made myself in Excel and printed it onto Curious Iridescent Poison Ivory cardstock -- love that shimmer! It is matted in black and popped up on the page. 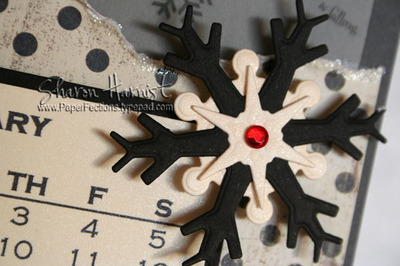 Red grosgrain ribbon is stapled to the side of the calendar and black brads finish off this calendar page. Be sure to check out the Splitcoast gallery to see all the other Dirty Girls' creations this month! My fellow SplitcoastStampers Dirty Dozen Design Team Members & Alumni (affectionately dubbed Dirty Girls), had a challenge last month using Elzybell stamps and have decided to make the challenge some regular monthly fun now! 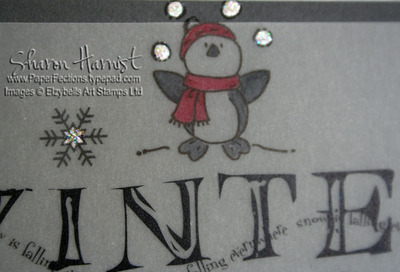 This month's theme is penguins and our restrictions were to use NO blue and to make it icy! While I did get my project done late last night, my dear old computer (grumble, grumble) shut down on me just as I was finished editing my photo and about to post it -- ugh! When it does this, it usually takes at least an hour to recover and since it's almost 1am, I'm off to bed right now! So I'll post my project first thing in the morning (or in about 8 hours!) 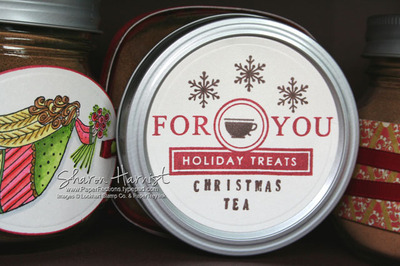 but in the meantime, you can check out this gallery at SplitcoastStampers.com to see what the other gals came up with! 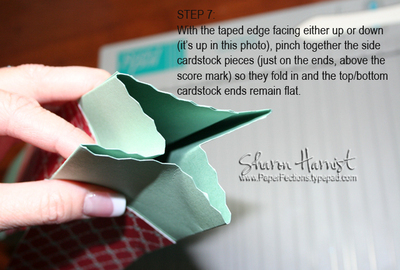 I tried making a new blog banner with a digital scrapbooking kit (all by myself!) . . . how do you like? I still need to resize it a bit, but overall, I'm very pleased. Those templates make it really easy and fun . . . I can see quite a few changes coming throughout the year, as I usually tire of the same thing after a while! Hopefully I'll be back later (it may be VERY late tonight!) with some teacher gifts I haven't even started on and tomorrow is the last day of school for us -- ugh, never enough time! First, some Christmas shopping though! I couldn't, for the life of me, get a very good photograph of this lampshade I made, so I'll show two pics and hopefully you'll get the idea! From top to bottom, this square shade measures 4.5". I believe I got it from either JoAnn's Fabrics or Hobby Lobby. 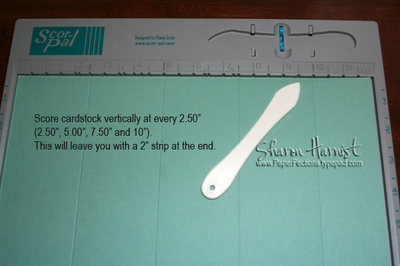 It comes with adhesive already on it and a pattern for you to lay out and cut whatever you'd like to cover it with . . . either fabric or paper. Next, I colored the holly berries with Red Spica Glitter Pen, cut out the pattern and adhered it to the shade. I was very pleasantly surprised at how sticky the shade's adhesive was and how well it held the heavier weight cardstock. 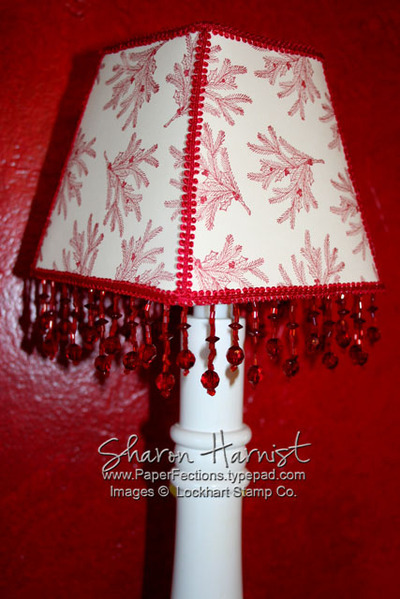 Then I trimmed the shade with some deep red May Arts ribbon and some red bead trim I found at JoAnn's, using Fabri-Tac. 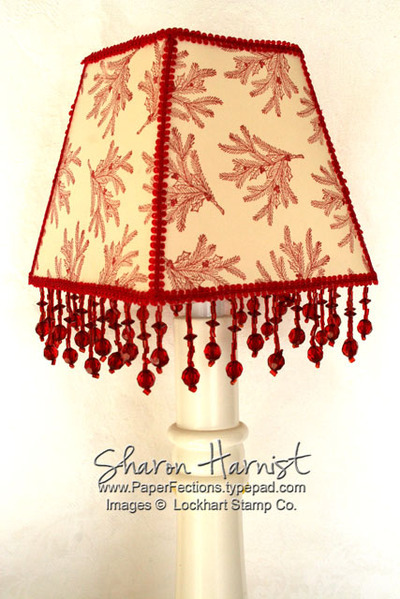 Now this shade matches my new RED kitchen perfectly and I hope this gives you some ideas on different ways to use your stamps other than "just" stamping on paper for cards or scrapbooks! At the end, there's a link where you can try it for yourself . . . too funny! Thanks again for the laugh, Keri!
. . . I was tagged again by my sweet friend and fellow Texan, Beverly Gerard (aka TexasGrammy) . . . <waving Hi to Tex>! I first met sweet Tex in February 2005 at a shoebox swap. When she sat down to make the card I brought, she started raving about it and we were instant friends, LOL! Bev is the kindest woman I know and has an amazing family, full of wonderful children and beautiful grandchildren! I'm constantly inspired by her work . . . check it out at her blog linked above. 1. I'll be celebrating one year of blogging the end of January, so watch for some bountiful giveaways! 2. When people ask what my favorite color is, I used to always say blue, but I don't decorate with it and rarely papercraft with it . . . what's up with that? LOL! I do love looking at any beautiful blue body of water though -- that's so relaxing to me. I think my tastes have changed quite a lot over the years and my current favorite color (of the year, I guess!) is RED! So much so, that I got a new red car this year and just painted our kitchen red! 3. I can sleep just about anywhere . . . traveling in a car or airplane, especially -- Funny thing is that my youngest daughter is exactly the same way! 4. I'm usually a night owl and despise having to get up too early in the morning. Therefore, I'm not really a morning person! This brings us to No. 5 . . .
5. I must have at least one huge mug of coffee each morning! 6. I'm a homebody . . . if I had a well-stocked pantry and fridge, I wouldn't mind not leaving the house for a week! 7. My favorite holiday is Christmas, so I'm having a blast decorating our new home for the holidays! I'm supposed to tag 7 other people, so if you'd like to play along please consider yourself tagged and link back here in the comments -- I'll be sure to check out your answers! I was hoping these beautiful patterned papers from Daisy D's Snowflakes & Holly 6x6 pad would make these thank-you cards seem more in keeping with the holidays. I love this vintage mixture of colors and patterns . . . I thought they went well with these floral bouquets in a Mason jar and an old milk jug! The focal image and red mat were embossed & cut with Spellbinders Nestabilities Classic Ovals and mounted with dimensionals to the card. 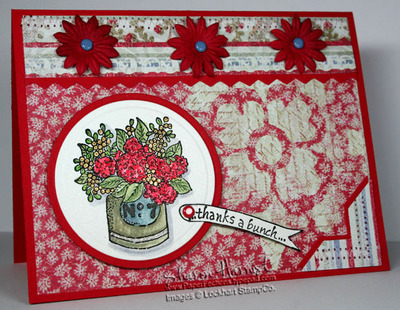 Card base is Stampin' Up's Real Red. I used two different patterns in the Daisy D's pad and backed the upper left corner piece with a mat of red cardstock that I cut with zig-zag decorative scissors. That corner piece is machine stitched to the card, as is the sentiment. The sentiment is also a new release from Lockhart -- it fits perfectly for floral bouquets, doesn't it? And it also fits perfectly in Stampin' Up's Word Window punch! 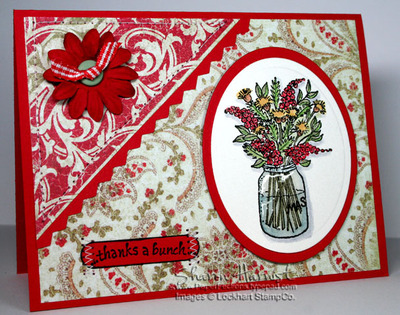 A red Prima flower with Moss button and red gingham ribbon (both Stampin' Up!) in the upper left corner finish off this card. The next card showcases the old milk jug (at least I think that's what it is -- someone please correct me if I'm wrong!) 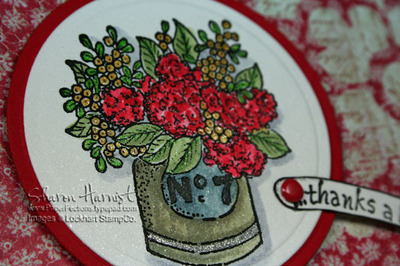 filled with Hydrangeas, which is another new release from Lockhart Stamp Co. Same Daisy D's Snowflake & Holly collection papers. 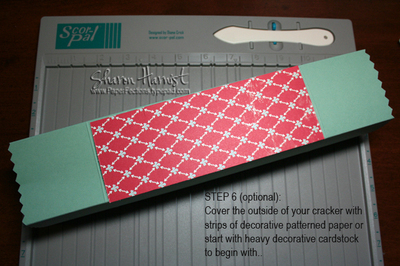 I used a strip of a different pattern of paper from this pad along the top, accented with a red zig-zag strip. It's hard to tell, but the top of the strip is machine zig-zag stitched. Red Prima flowers with Brocade Blue brads (SU) accent the top. 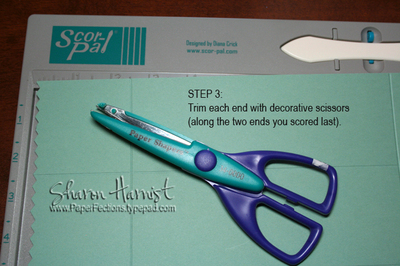 A corner punch of striped paper is machine zig-zag stitched to the lower right corner. Wish me luck today, as I'm chaperoning my 2nd grader's field trip! I hope your day is cheered by these bright red, pretty flower bouquets! 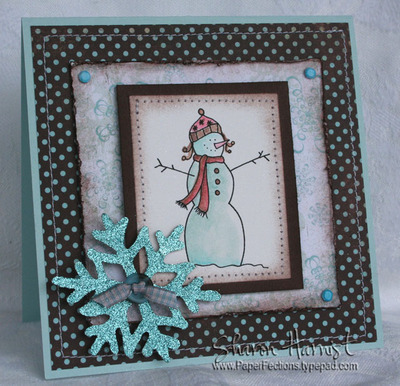 My friend, Anna Wight, sent me a few of these adorable snowlady images in a card recently, so we decided to have a little blog challenge with them. Isn't this snowlady adorable? She's hand-drawn by the ultra-talented Anna for Whipper Snapper's next release, due out in January . . . so you'll be able to get one of your very own soon! Her name is Cappy and she's so much fun to color. She's stamped on shimmer white cardstock and I watercolored her with dye inks: Stampin' Up's Soft Sky, Regal Rose & Close to Cocoa. If you know Anna's work, you know she is well-known for her signature "dirty" look and wonderful watercoloring, so that's what I was thinking of when I was making this card. The edges of Cappy's main image were sponged with Cocoa ink and machine stitched to a Chocolate mat. She's mounted with dimensionals to a blue snowflake piece of BasicGrey's Figgy paper (6x6 pad), whose edges were distressed and inked. More blue dotted chocolate paper from the Figgy line is machine stitched on the 5.25" square Soft Sky card base. 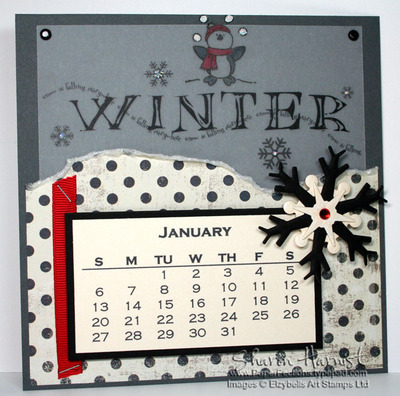 The snowflake is BasicGrey's Undressed Holiday chipboard which has adhesive on one side. I covered the adhesive with Martha Stewart's turquoise glitter . . . (yummy!) and placed a blue & brown button in the middle, tied with light blue gingham ribbon that I aged with cocoa ink. Some Stampin' Up Bashful Blue brads (darkened with a turquoise Copic Marker, to match the snowflake & paper) finish off this card. I can't wait to see what Anna did with her own image and what ideas she had in store for this darling snowlady when she was drawing her! 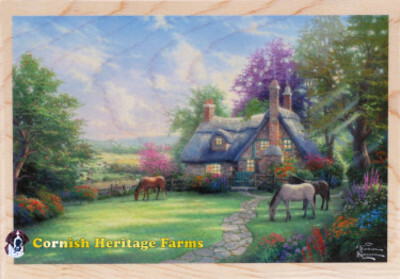 Be sure to check out Anna's card HERE. Thanks for the challenge, Anna . . . I'll play with your adorable images again any day! You know those great clear top tins everyone is trying to either keep in stock or get their hands on to alter? I found some in one of the oddest places last week . . . OfficeMax! 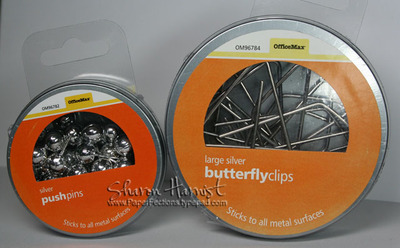 The bonus is, you get some usable office supplies along with them, all for .99 cents each! My store had these tins in two sizes . . . the one on the left is 2.5" in diameter and the one on the right is 3.5". Another bonus . 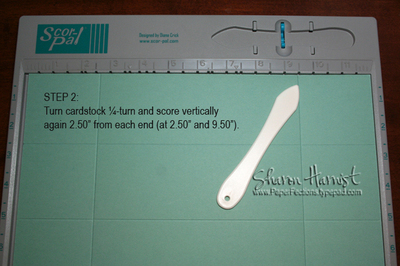 . . they are magnetized on the back, so you can stick them up on a metal board, if you'd like! I'll try to be back soon with a little project using these . . . until then, happy shopping! I'll be back tomorrow with a little challenge I'm doing with Anna (SweetMissDaisy), so be sure to check back in! My Favorite Things just released this birthday set yesterday. Sorry I'm a bit late getting this up for the preview . . . my whole week has been upset since Monday with a car accident. Nothing major, no one hurt, but it still just upsets the apple cart! And once again, I'm having computer issues . . . Santa has been put on notification that I need a new one, so let's hope he's listening! This new set is Icing on the Cake and has some darling sentiments included with it . . . 2 cakes, a cupcake, a stack of presents, balloons . . . everything you need for a birthday party! The red tag is a Petaloo . 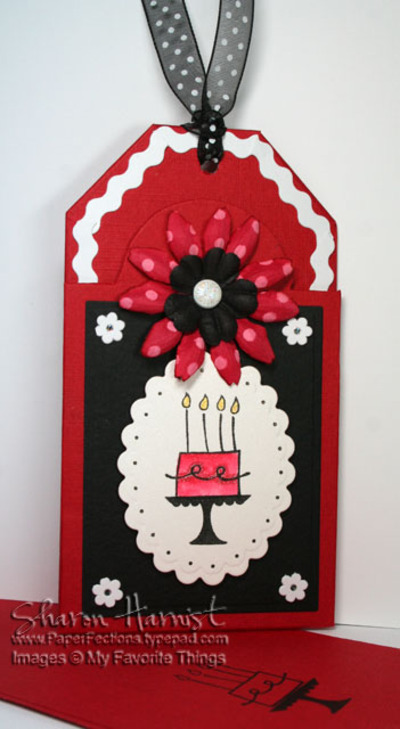 . . a card tag with a magnetic closure at the top, underneath my flower embellishment. The tag is hinged at the bottom and opens at the half-circle that's under the flower. 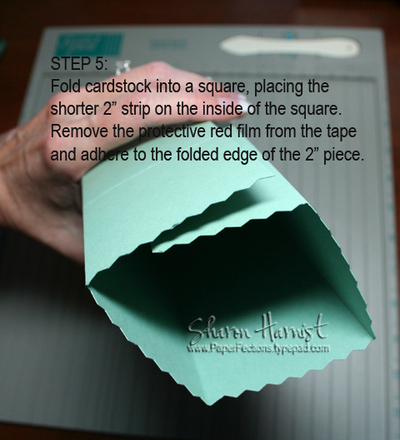 It's perfect for holding a gift card or certificate. The cake image was stamped with Brilliance Graphite Black on Curious Iridescent Cryogen White shimmer cardstock and watercolored with red dye ink. The image was cut and embossed with Spellbinders Nestabilities Scalloped Oval and Copic Spica Glitter Pens accent the cake and dots around the scallops. Tiny Doodlebug white Paper Frill flowers accent the corners of the black rectangle and zig-zag Paper Frills accent the back/inside of the tag. Stardust Stickles were added to the white brad in the center of the flowers. 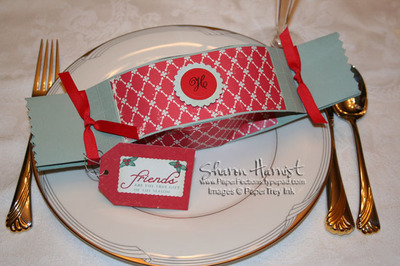 Need a good gift wrap idea or place setting name card for your holiday table? Look no further . . . how about this Christmas Cracker! 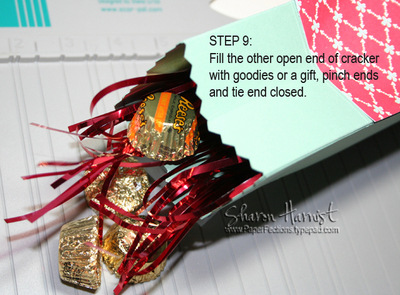 Below is the full tutorial. 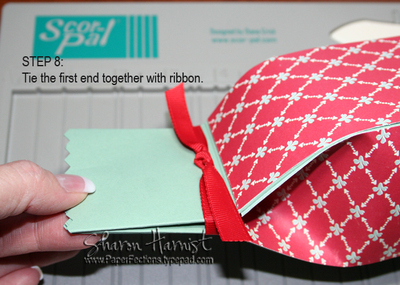 Place the recipient’s monogram on the outside and add a decorative tag, if desired. Products Used -- Stamps: PaperTrey Ink Believe. 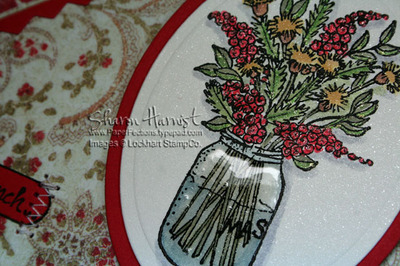 Paper: SU Sage Shadow & Real Red Cardstock, Cosmo Cricket Dutch Girl Paper. Ink: SU Real Red & Sage Shadow. 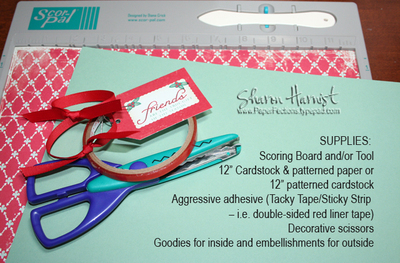 Accessories: Spellbinders Nestabilities Scalloped & Classic Circle Embossing Dies, Spica Glitter Pens. 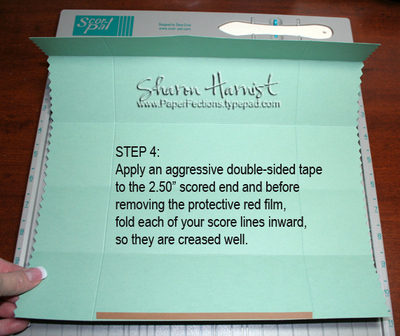 I'm sure you'll find lots of other uses for this packaging throughout the year . . . the possibilities are endless! This year, we put up a Christmas tree for our girls that's mostly pink and some bright "candy" colors, so when I discovered this new image from My Favorite Things', Baby It's Cold Out, would perfectly fit on my 2.5" square acrylic block, I decided to make the block into an ornament for them! I stamped the image with Brilliance Graphite Black on Cryogen White shimmer cardstock and colored it with Copic markers. 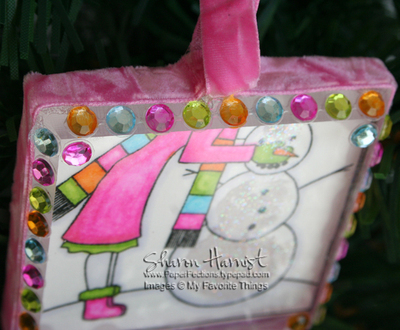 Then I adhered the image to the acrylic block, using Crystal Effects around the edges and on the snowman's front. Before adhering, some transparent glitter was added to the snowman to give him a sparkling personality! My Favorite Things will release three new stamp sets tomorrow and to celebrate, they are having a new release Cocktail Party on Wed, Dec 5 from 9-11pm EST on SplitcoastStampers.com. There will be giveaways, coupon codes, a challenge & sneak peeks at the stamps. You can also find out how you can become a MFT Guest Designer!